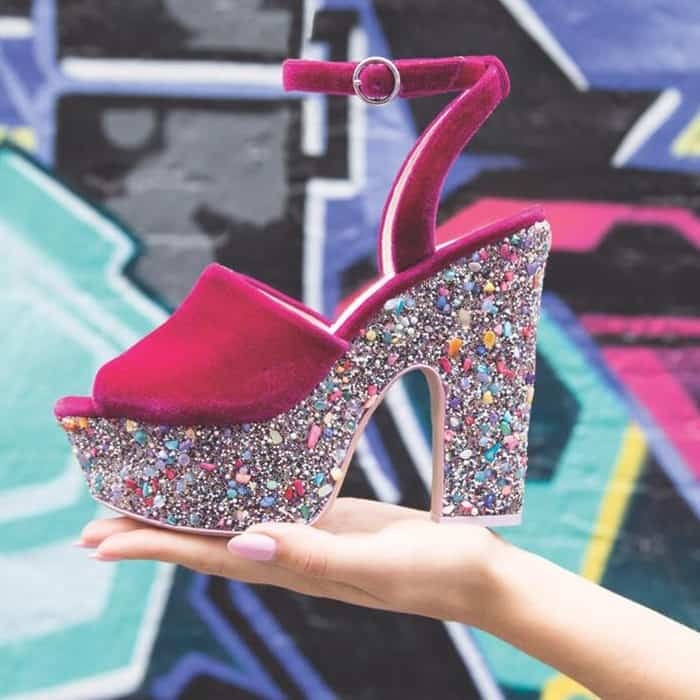 Earlier this year we showed you 10 amazing new 2016 styles from Sophia Webster, and now we’re excited to show you 11 more shoes just in time for fall. Sophia Webster cites Winona Ryder’s character Lydia Deetz from the 1988 motion picture ‘Beetlejuice’ as her muse for Fall ’16. “It’s about daring to be strange or unusual but most of all beautifully unique,” she commented. 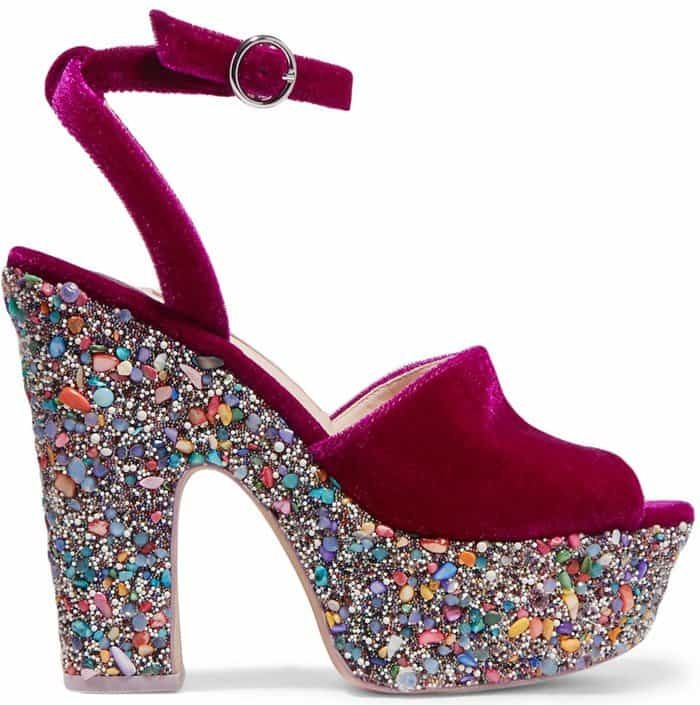 Do you think Nicholas Kirkwood’s former assistant has outdone herself this time? 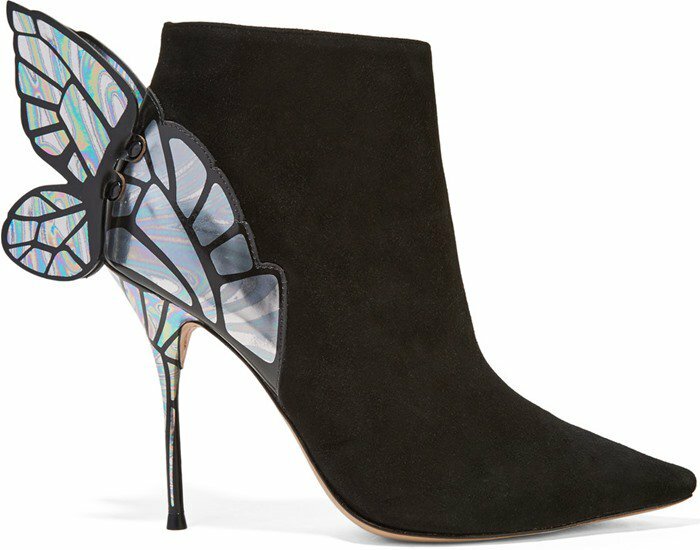 Crafted from supple black suede, these whimsical ankle boots are designed with the label’s signature butterfly wings made from iridescent patent-leather. 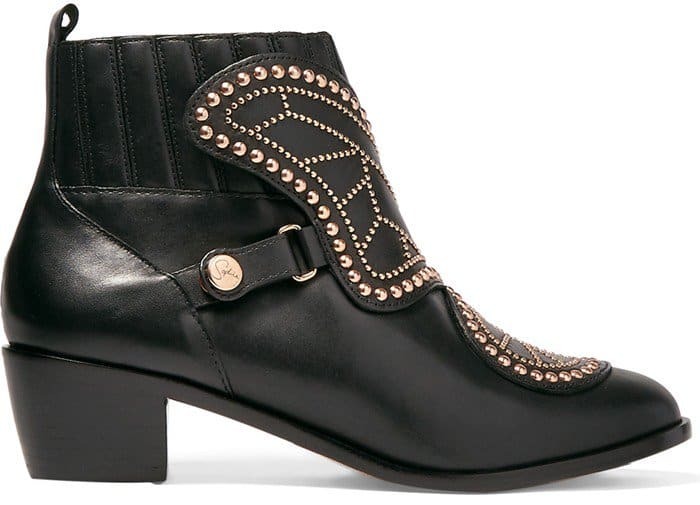 These ankle boots are flawlessly made from glossy black and rich plum leather. 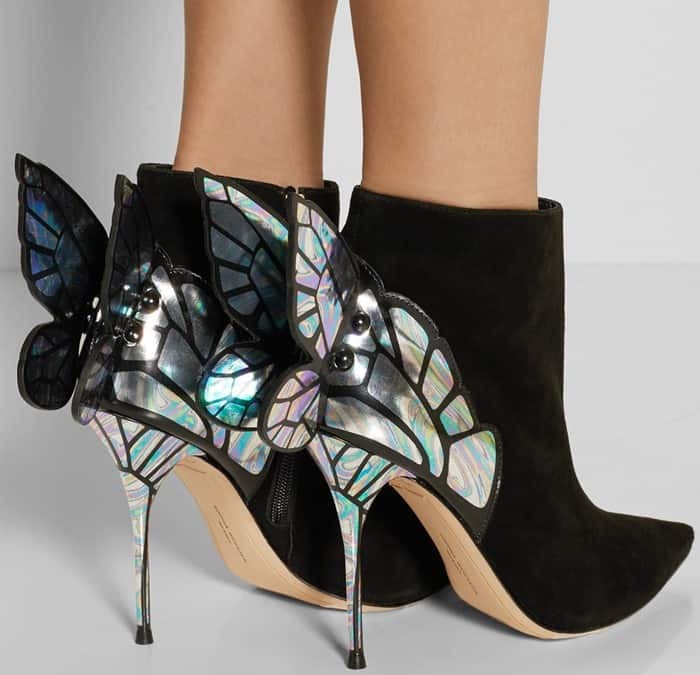 This pair is embellished with gleaming rose gold studs to form the signature butterfly motif, which was first used by the designer for her final collection at the Royal College of Art. 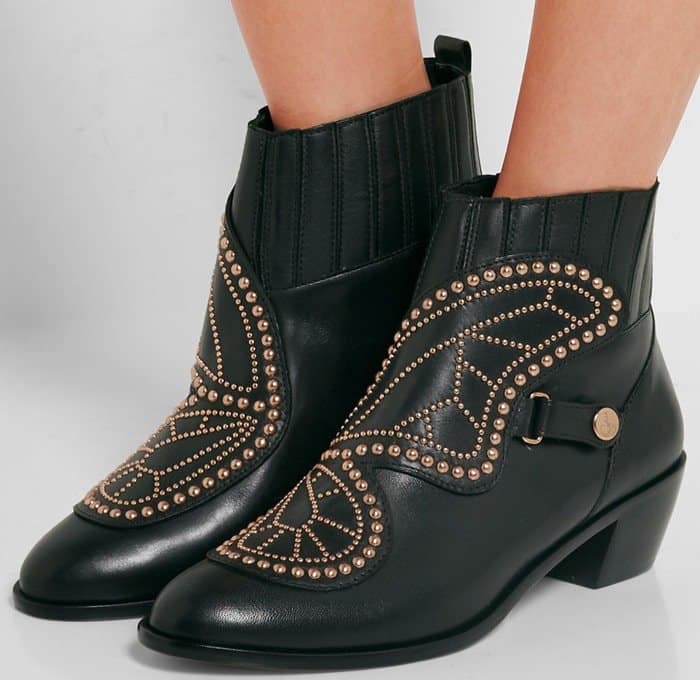 These ankle boots are perfect for enhancing simple outfits. 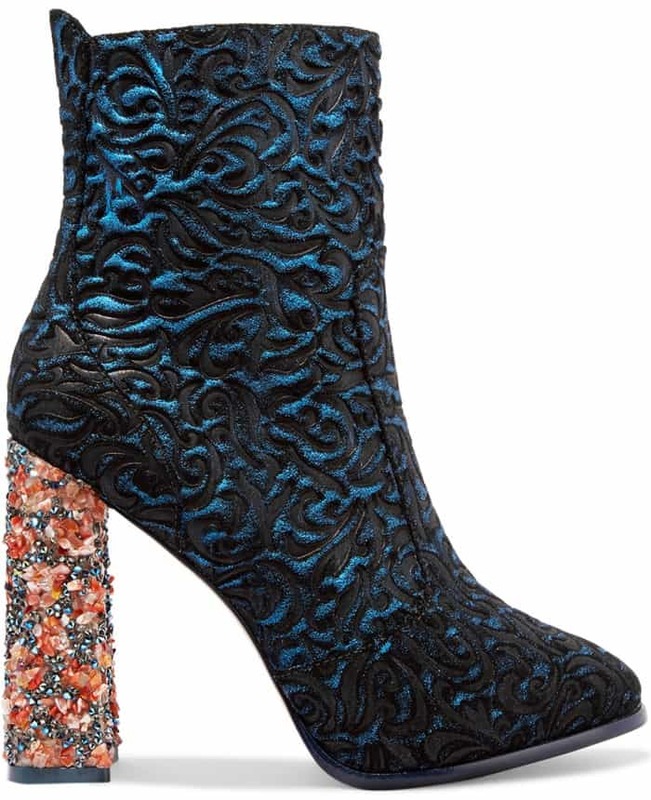 They’re cut from blue and black suede and leather intricately worked to look like jacquard and finished with a heel encrusted with scores of colorful crystals and resin beads. The zip fastening ensures you can easily slip them on and off. These high shine sandals are intricately cut out in the label’s signature butterfly shape and punctuated with contrasting rose gold hardware. Crafted from tan leather, these statement-making sandals have a cage silhouette that’s covered in polished silver studs. 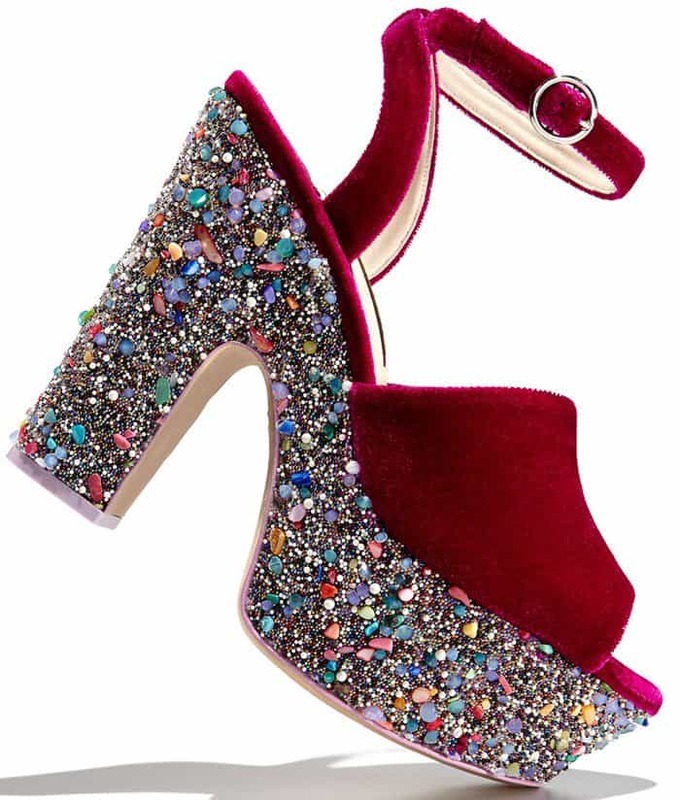 They’re set on a stacked stiletto heel and finished with tasseled ankle ties. 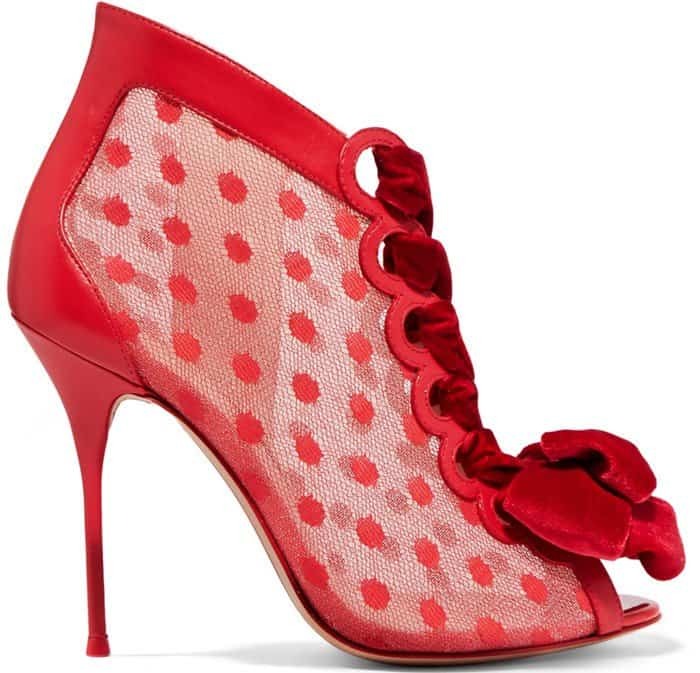 These bold red boots are made from sheer polka-dot tulle reinforced with smooth leather. Lustrous velvet lace-up detailing adds to their decadent Victoriana feel. 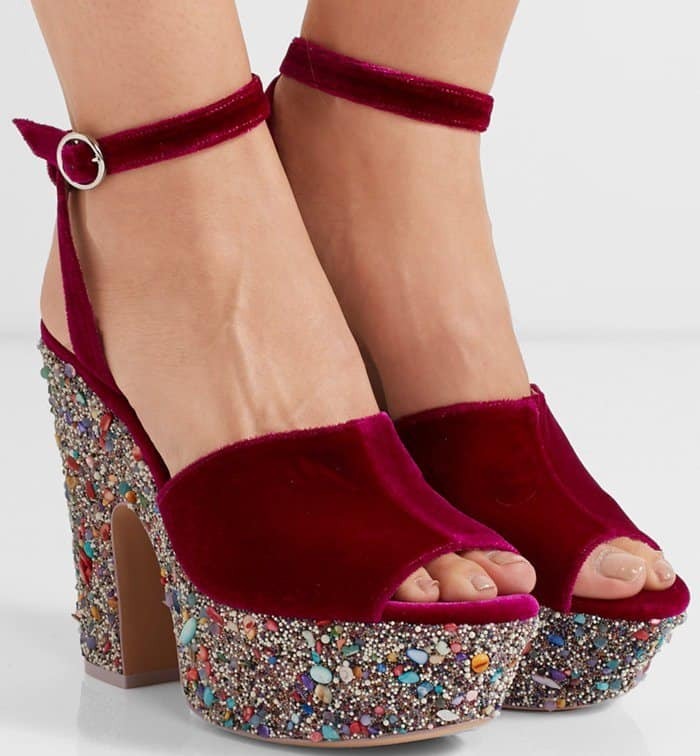 These unique sandals are crafted from plush cherry velvet lined in smooth leather and set on a chunky platform encrusted with kaleidoscopic crystals, resin pebbles and beads. 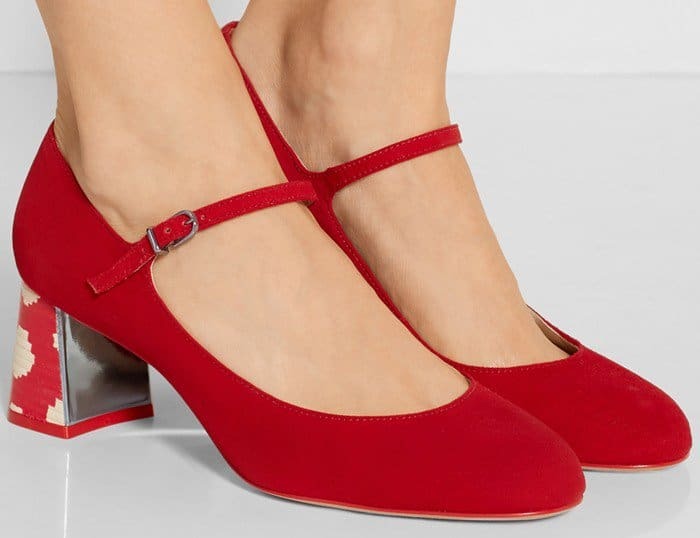 Crafted in a ladylike Mary Jane silhouette, this rich suede pair is finished with a painted stacked block heel that makes them as comfortable as they are stylish. 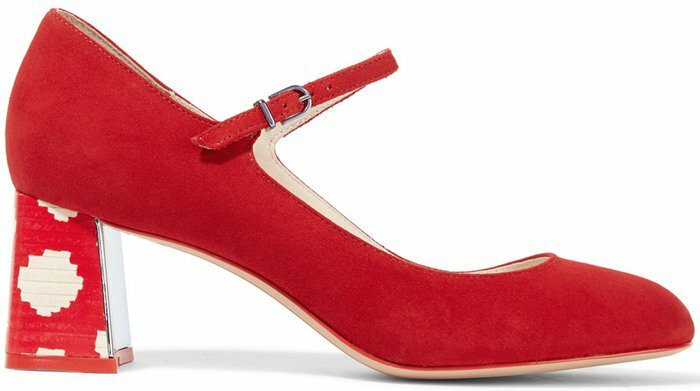 These pumps are made from soft suede contrasted with a geometric-print leather-coated heel. 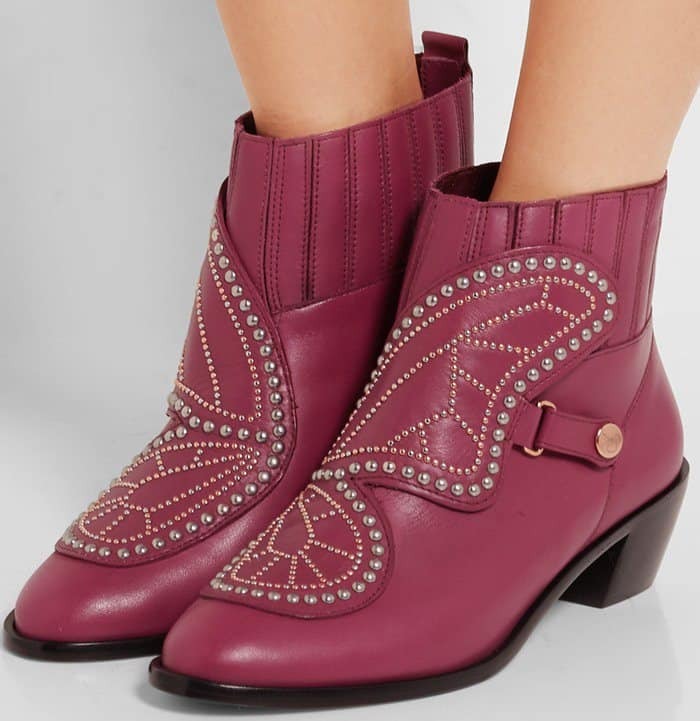 The metallic lavender hardware adds a touch of the designer’s signature whimsical detailing. 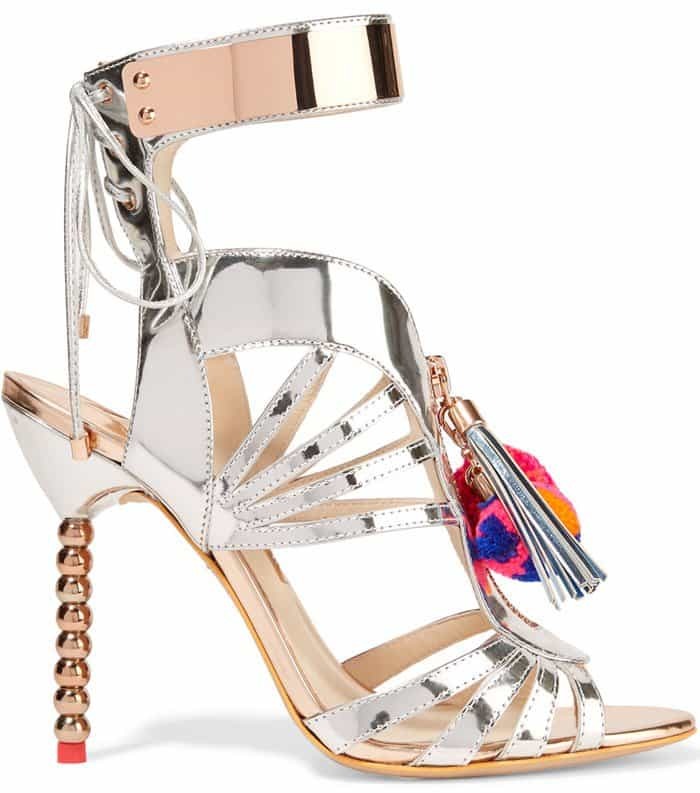 The ‘Yasmina’ sandals are crafted from high-shine mirrored-leather in a caged silhouette. 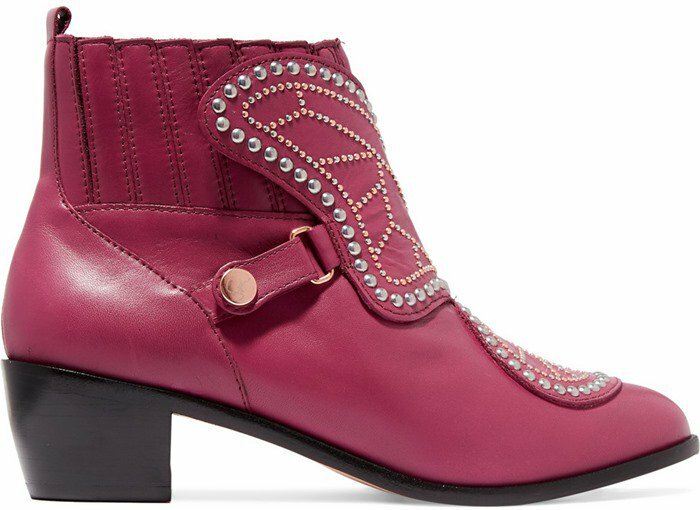 Detailed with rose gold hardware, this playful pair has an ankle bar and sculptural beaded heel. The tassels and brightly colored pompoms can be removed and used as a keychain or bag charm. 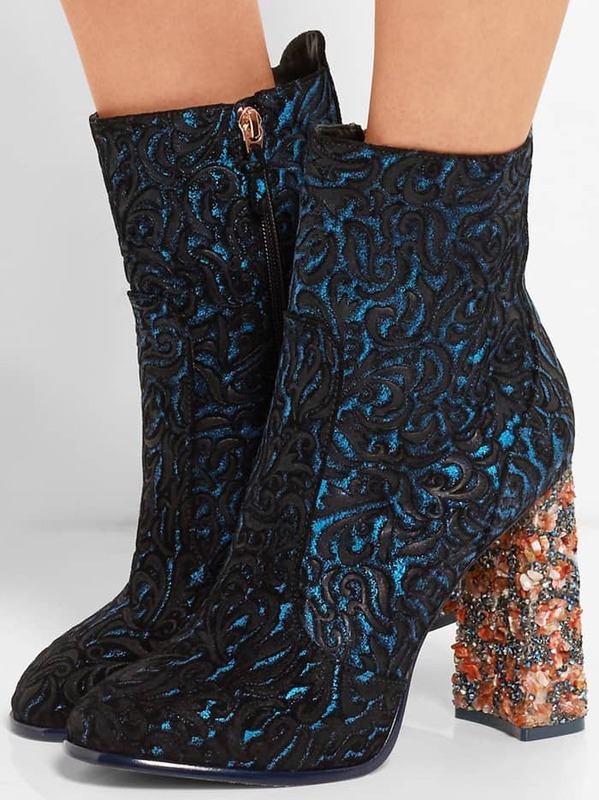 These spectacular ankle boots capture the label’s whimsical mood. 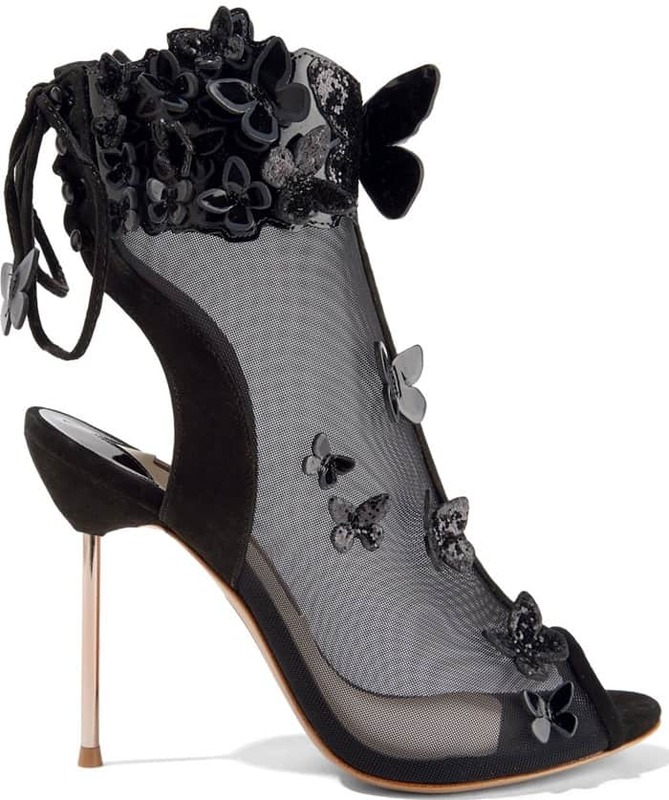 Appliquéd with fluttering patent-leather butterflies and trimmed in suede, this pair has a mesh upper and an adjustable lace-up back. 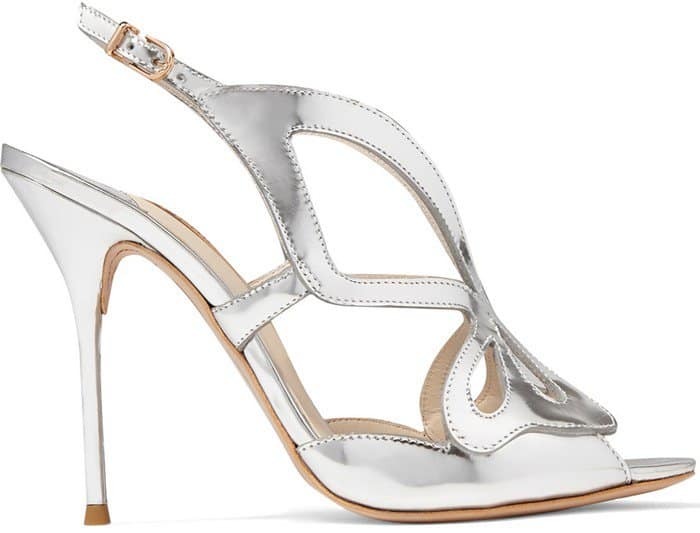 The rose gold heel adds a gilded finish.